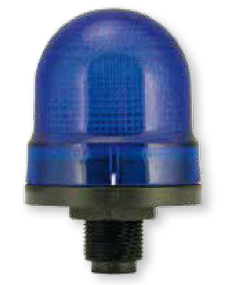 Texelco Panel Mount Indicator Lights & Horns | Springer Controls Co.
Springer Controls offers a full range of panel mount signal lights and horns to meet your requirements. 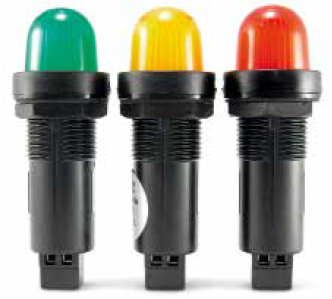 From the compact 220 series, and the multi-color 300 series to the larger 180 multi-color and 183 series we have the signaling products you need in stock and ready to ship. All units feature an ultra-bright LED which is readily visible even in direct sunlight. Choose your selection based on the size, color and messaging options required. The Series 220 Panel indicator lamp is designed for panel builders who need a highly visible indicator in a compact space. The 30mm (1.2") diameter allows it to fit into crowded panels and the ultra-bright LED is visible even in direct sunlight. For panel mount applications requiring multiple colors from a single lamp, the 300 series lights can produce up to 3 different colors from a single lamp allowing for multiple messages to be displayed. The ECX71 visual and audible signaling device provides loud signaling with visual indication in a compact size. The ECX70 is an audible signaling device designed for panels with minimal available space. For larger panels the series 180 multi-color lamp has a 60mm (2.4") diameter and can produce two colors from the same light allowing for two different messages to be displayed. 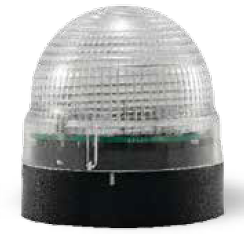 The Series 183 dome lights are single color lights that have a 60mm (2.4") diameter and are available with either a 2.4" or 2.75" high dome in a range of colors.